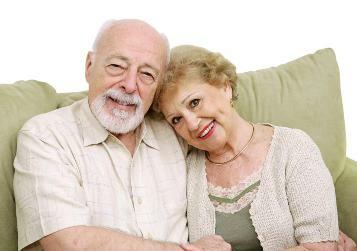 National Grandparents Day began as a state movement. It was proclaimed a national celebration in 1978 by President Jimmy Carter. In addition to the acknowledgment of the generations and wisdom from the elders in our own families, it was hoped that people would also visit senior citizens who were lonely and alone in nursing homes. Both Hermine B. Beckett Hanna, of North Syracuse, New York, and Marian McQuade, of Fayette County, West Virginia championed the idea in different years prior to this. Celebrated every year on the first Sunday after Labor Day. In 2010, National Grandparents Day falls on September 12th. 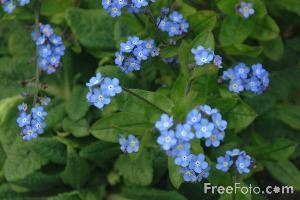 The official flower of Grandparents Day is the Forget Me Not. Need some ideas to help your kids celebrate their grandparents? 2. Ask about a favorite game granddad played as a child and play it. 3. Find out a favorite flower and draw picture or plan a trip to a botanical garden to see them. 4. Discover a favorite recipe -- make it together. 5. Start recording a family history -- What was dating like for grandma and grandpa -- how did their courtship progress? Or -- what does grandma remember about HER grandmother? Have the kids write up the story or use a video camera to record it. Get more ideas about learning and preserving your family legacy. 6. Go on a "Treasure Hunt at Grandma's House". Sure, the kids have been there many times. But this time, go and look for pottery, collections, unusual objects, family pictures -- anything your aging parents have that might tell a story. Let your kids ask about the significance of these items and learn about these treasures. Get some more ideas about the real hidden importance and true value of these family heirlooms. 7. Visit a local nursing home with your children and engage in any of the activities above with one of the elders there. You'll need to call ahead and inform the Activities Director that you'd like to do this. They will let you know the best time to come and suggest a couple of residents that might benefit from a visit. 8. Get a group from your local congregation to participate in this together!